» Does Irish America Have Anything to Offer for Brexit? The boring, tedious, frustrating, not to mention suicidal, Brexit process continues. Recently Irish Central, a media company, put together a conference on US-British-Irish relations in the context of Brexit. The “US” focus was really about whether the Irish-American diaspora has any role in or influence over Brexit. The obvious answer is: Why would it since Brexit is a fight over the relations between the UK and EU? But there are some complications that account for the US disapora concern about Brexit. The premise for an Irish-American role is based on the experience with the Northern Ireland peace process that unfolded from the late 1970s to 1998. At critical moments along that way, Irish-American leaders actively supported the peace process, generally in favor of the nationalist position. And former Senator George Mitchell, at the urging of the Irish-American community (including Niall O’Dowd of Irish Central) and President Clinton, was instrumental in helping the parties in Northern Ireland (NI), and British and Irish governments, to reach the Good Friday Agreement that ended the period of violence and created a devolved administration for NI. The interest in Brexit for Irish America is the potential threat to the Good Friday Agreement (GFA). Given the UK/NI and the Republic of Ireland membership in the EU, there has been a free flow of goods and services, and EU people, across the border between NI and Ireland. 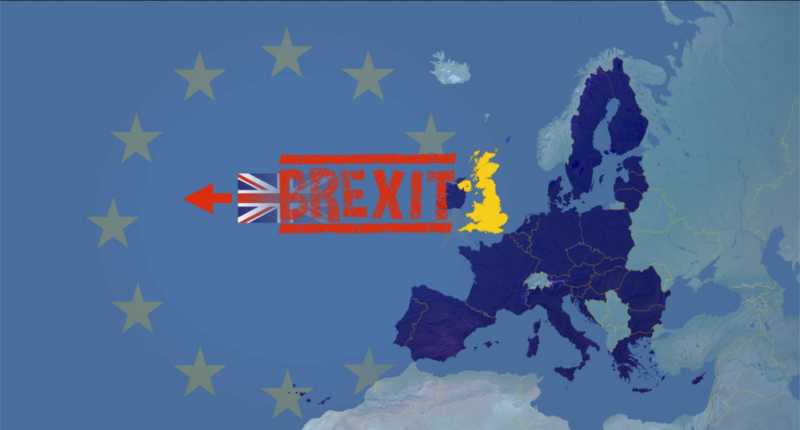 If, or when, the UK leaves the EU, that flow of commerce would be expected to be interrupted rather than free-flowing, with a “hard border” of customs and immigration controls. The argument has been that such a “hard border” would contravene the GFA and threaten a resumption of the violence ended by that Agreement. The conference began with a few remarks by organizers and a speech by the Irish Minister for Justice and Equality, then two panels of government representatives, business and industry leaders, Chamber of Commerce people, journalists from The Financial Times, The Irish Times and The New York Times, and development agencies. The program ended with two short speeches by George Mitchell and Richard Neal, the new Chairman of the important US House Ways and Means Committee. Given the context, and importance of the “hard border” to the political well-being and safety of the people in NI, one could reasonably have expected to hear from those most affected. Yet there was only one representative from NI and he was from the business community. So it was inevitable that the panels focused almost exclusively on the economic implications of Brexit for business interests in the UK and Ireland, and for US investors. But there were a few moments when wider socio-political issues broke through. The unsurprising consensus was that Brexit is not going to be good for almost anybody’s economic interests. Yet most were optimistic that they or their constituents would make do. For instance, while Brexit could adversely impact the Irish agriculture sector, the services sector would gain, and already there were 70 companies, with 5,000 jobs, moving to Ireland from the UK because of Brexit. We heard several expected responses during the conference. Niall O’Dowd got his chance to annoy the British Consul: Why does PM May keep changing her story about the backstop depending on whether she’s talking to the DUP or others? The rhetorical question went unanswered. There was also my favorite: a claim that there are 30 or 40 or 45 million Irish-Americans, with the insinuation that they are all committed to Irish affairs. Most of them are ghosts. This unreal number of Irish Americans is derived from a question on part of the US Census which asks each household to identify which ancestry or ethnic origin the person most closely identifies with. The question does not measure the degree of attachment the person has with any ancestors or ethnic group. An example that has been used by the Census Bureau states: a response of “Irish” might reflect total involvement in an “Irish” community or only a memory of ancestors several generations removed from the individual. Many of those who migrated in the 18th and 19th centuries from the island of Ireland may identify with being Irish, as it is part of their family history, but they may have no connection with Ireland and may indeed not even know where Ireland is. There are more than a few Irish-named families in Appalachia. If you look at the number of subscribers who pay for Irish newspapers, the members of the Ancient Order of Hibernians and other large groups, the people attending the 50 or so Irish Festivals in the US, and the number of visitors from the US to Ireland (a good indicator of “connections”), a reasonable, perhaps generous, estimate is that there may be about five million, give or take a few million, Irish Americans “connected” to Ireland or “Irish” affairs, and only a fraction of these would be connected to Northern Ireland. Similarly, despite the claims that Irish-Americans represent a sizeable group of votes in any election, there is little if any evidence that they vote for political candidates based on the position of the candidate on Irish or Northern Ireland affairs. Of course there are isolated districts with an overwhelming Irish-American constituency where any candidate had better espouse a United Ireland. But they likely are few and far between. Thankfully, George Mitchell saved the conference, at least for this attendee, much as he saved the Northern Ireland peace talks. Rather than pushing any economic dimension, Mitchell focused on the dynamics of the GFA talks and how they were able to create critical institutions and governing structures that have at least kept the violence to a minimum over the past 20 years. Of course these structures have not prevented the two leading parties in NI from gutting the devolved administration, and leaving the people of NI without any local control over what happens to them as a result of the Brexit process. Mitchell also argued that no one knows if there might be a return to violence, but some will be ready to use the threat of violence to advance their cause or interest. He added that maybe it might be only a few but even a few can create chaos and suffering. Mitchell did not offer any concrete analysis of the prospect of a return to violence with a hard border. The lack of any analysis of this issue, which is paramount to those living in NI, was surprising. Perhaps it was lacking because there is actually little likelihood of a return to wide-spread violence. After the Good Friday Agreement, the Independent Monitoring Commission, appointed by the two governments, periodically reviewed whether the paramilitary organizations were complying with the terms of the Agreement. In their various reports, and analysis, and meetings in New York, it was clear that there were increasingly fewer active members of the paramilitary groups and that they did not have the wide community support that existed in the 1970-1990s. A recent article by Patrick Radden Keefe supports such a reading of the situation although Keefe rightfully worries that confrontations at border crossings could escalate. As we noted, the leaders of the main political parties walked away from each other and the devolved administration, and have refused for over two years to re-establish that administration, leaving the people of NI without a democratically elected governing body. Once again, NI is run by British civil servants. Yet there do not seem to be reports of any uptick in paramilitary violence. A lack of local control over the day-to-day lives of communities in NI would seem a more direct threat to the peace process and the GFA than some form of custom control. As for getting the US government involved in the impact of Brexit on the people of NI, or appointing a peace envoy as proposed by Taoiseach Varadkar, we need only mention that the President is Donald Trump. But Ted Smyth, moderator of the first panel and a seasoned former Irish diplomat, provided a better answer. He reminded us all that the American government has been actively engaged in Northern Ireland affairs on only three occasions: in 1977 with the Four Horsemen (Ted Kennedy, Tip O’Neill, Daniel Moynihan, and Hugh Carey) organizing the Friends of Ireland to support a peaceful, non-violent resolution to conflict in NI, and getting the support of President Carter; the Anglo-Irish Agreement in 1985 which established the principal of consent for any change in the constitutional position of NI, and which gave Ireland a voice in the peace talks in NI, with support from President Reagan and his relation with PM Thatcher; and President Clinton’s active engagement in granting a visa to Gerry Adams and with the peace talks in the 1990s, ending in the GFA. Each of these instances grew out of actual and virulent violence and was intended to help resolve that violence. Those conditions do not exist at the moment in NI, at least not to the extent they did in the 1970s through the 1990s, so any engagement by the US government is a faint hope. Indeed, there is growing concern that the Irish diaspora in the US itself is fading, with fewer Irish emigrating to the US and fewer younger Irish Americans visiting Ireland. In a recent article on this issue by Suzanne Lynch, one of the panelists, O’Dowd noted that, “A diaspora can die.” That would be a sad wake. So perhaps it is time for an intervention to save the diaspora. Note: For a view of how Brexit (and the lack of a devolved administration) threatens to undermine environmental protections in Northern Ireland, see a series of video interviews in the Podcast section of this magazine, irish environment, with leading figures in NI environmental non-government organizations (eNGOS), including: Anne-Marie McDevitt, Project Manager of Nature Matters Northern Ireland (Jan 2019); Dr. Jade Berman, Ulster Wildlife and Nature Matters Northern Ireland (Feb 2019); Sean Kelly, Development Manager, Northern Ireland Environmental Link (April 2019). “Is Ireland the most pro-US voice at the EU table? 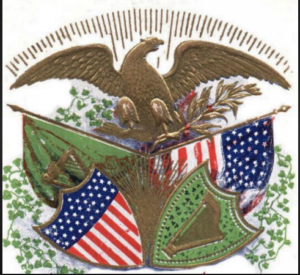 Brexit conference discusses US-Irish relations,” Irish Central (21 March 2019). bit.ly/2CBOXqT Many photos, and videos of George Mitchell’s and Congressman Richie Neal’s speeches at conference. Author’s Note: The author has been following NI political affairs since the mid-1960s. He organized a group in Philadelphia, Committee for a Dialogue on Northern Ireland (early 1980s to 1988), and put on two public conferences on Northern Ireland, following the New Ireland Forum and the Anglo-Irish Agreement, with speakers representing both Nationalist and Unionist communities. Then he moved to New York City where he organized a private group to follow Northern Ireland affairs. The group met with Northern Ireland politicians (including those from the Unionist community), representatives of NGOs, and leaders of NI Commissions in New York, 1990-2008, again with members of the group from both communities. He now publishes irish environment online magazine, 2009 – present. From 1988 to 2007, the author served as Assistant Attorney General in the Environmental Protection Bureau of the New York State AG Office, and as Senior Counsel for Commissioner Initiatives in the New York State Department of Environmental Conservation, 2007 – 2009.